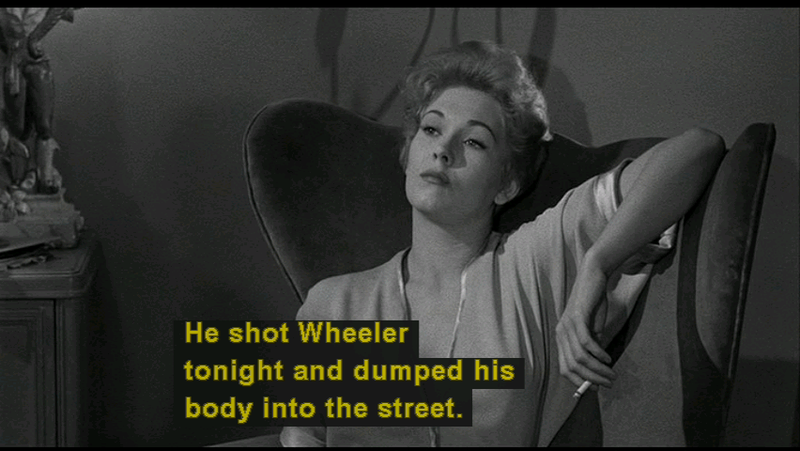 "He killed for money and a woman. He didn't get the money and he didn't get the woman." I like Pushover. 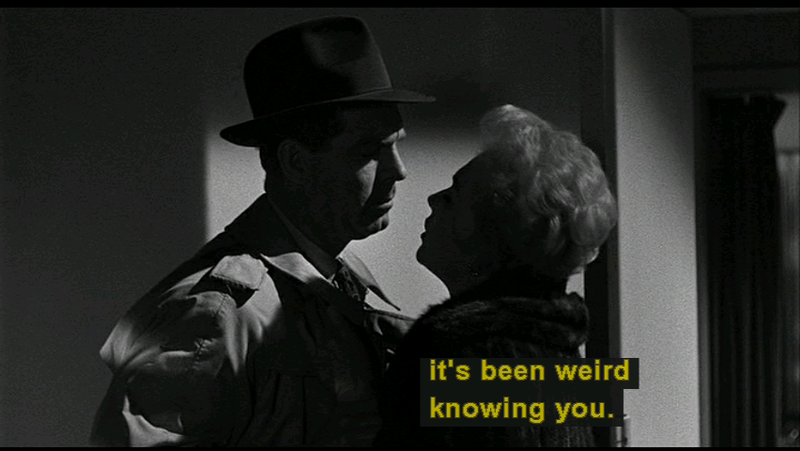 It's a solid mix of Rear Window and (obviously) Double Indemnity. 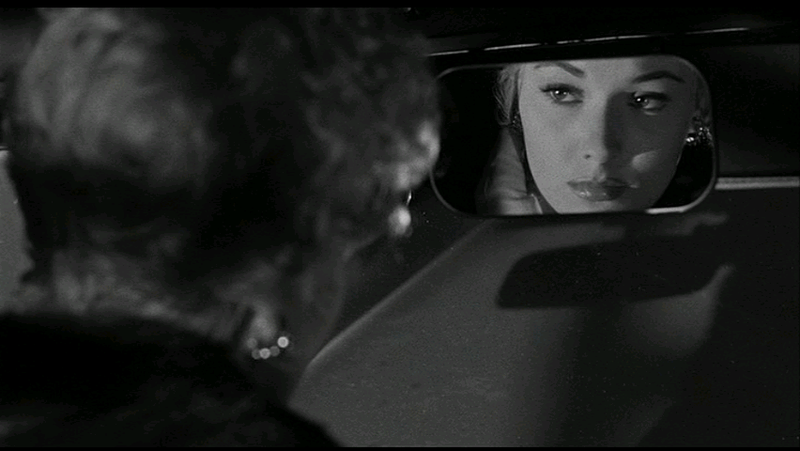 It has a snappy pace, a nice look and Kim Novak. He's the arm on the left right? This is a case where a comma would really have saved this reader a lot of time. You sure it's worth the effort? 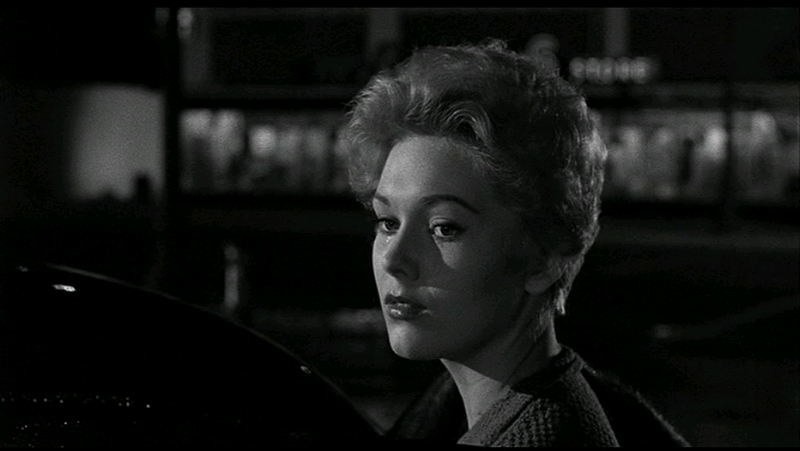 Yeah, Kim Novak is always good. I recently saw another of her early movies, 5 Against the House, with Guy Madison. That was a better movie. And she looks so young in these - it's amazing that she's only 4 years away from making Vertigo. A doctor once walked into a patient's room and said, "The foot to be amputated is the left?" "Right," answers the patient. That's one place it would have been worth the effort. If you haven't seen Bell, Book, and Candle, you should give that a whirl. 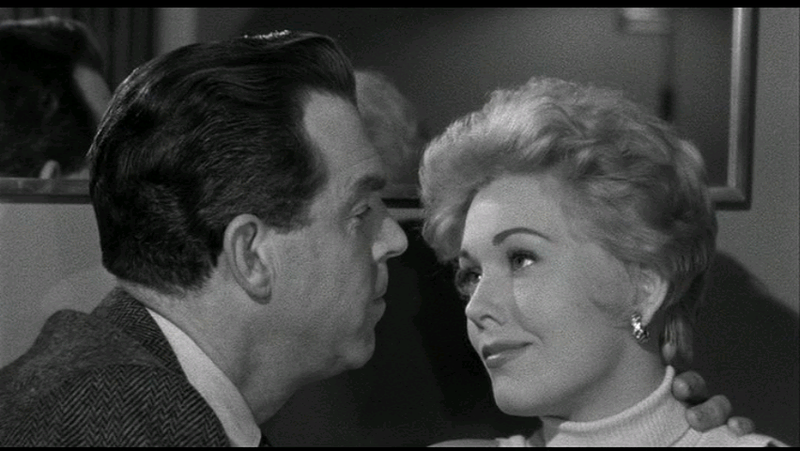 Yeah, Kim Novak is always good. I've changed my mind on Novak in the past 3 months. She has some real good performances and some not so good. Lately, I've been annoyed at the way she talks. In Vertigo, I loved her as Madeliene (where she has a different way of speaking.... and manner) but not as Judy, where she reverts to her normal diction. CJ once said Novak is very hit-or-miss, and I now agree. "normal diction"? What do you mean? Are you saying that the way Judy talks is Novak's normal speaking voice? Or do you just mean the character's normal voice? Obviously, the Madeleine voice is put on, but it's interesting that Novak uses it in other films (again, check out Bell, Book and Candle). This was probably the voice that Novak developed through her elocution classes or whatever as she was being groomed for stardom. I'm not sure if the Judy voice is also put on, but I'm pretty sure it is. 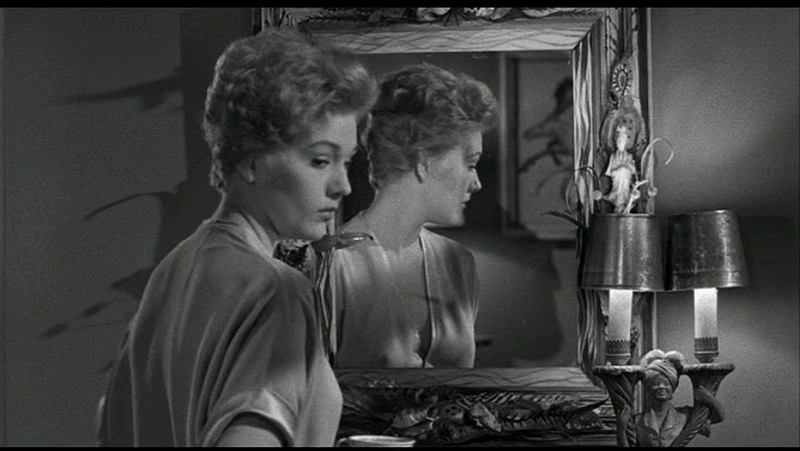 The great thing about Novak's performance in Vertigo is that she not only looks like two different women, she actually sounds like two different women. That kind of care was not usually taken in films of that vintage which concerned characters with multiple identities/personalities. Bravo, Novak. Bravo, Hitchcock. Added youtube link to the full movie at the top of the thread.